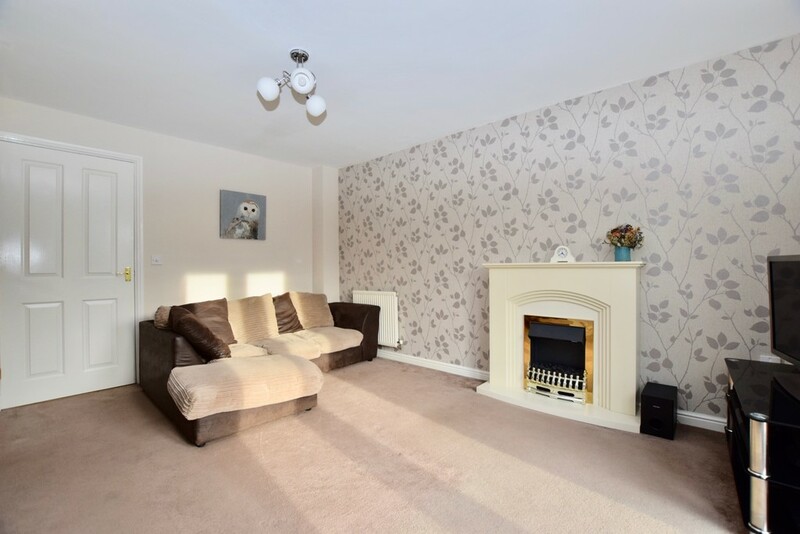 This property is a well presented semi detached home situated on the outskirts of the town. 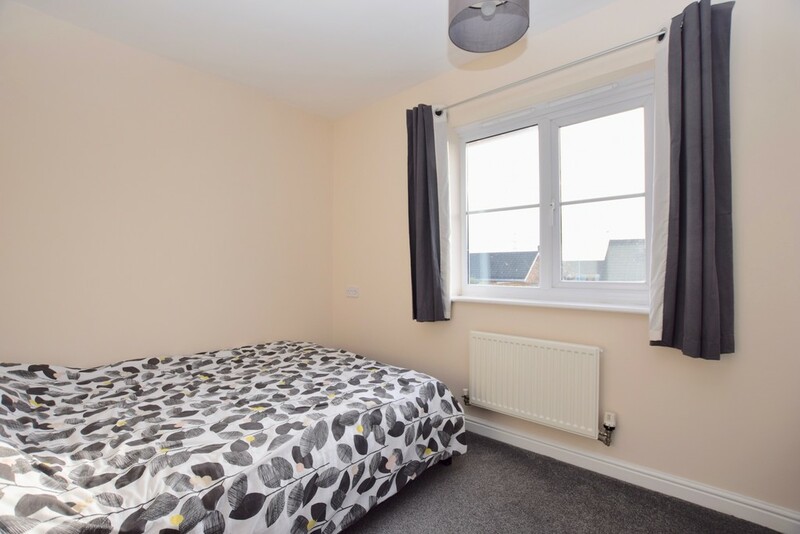 It offers two double bedrooms and a re-fitted bathroom and has the benefit of double glazed windows, gas radiator heating, driveway parking to the side and a westerly facing rear garden. An ideal first time or investment purchase. 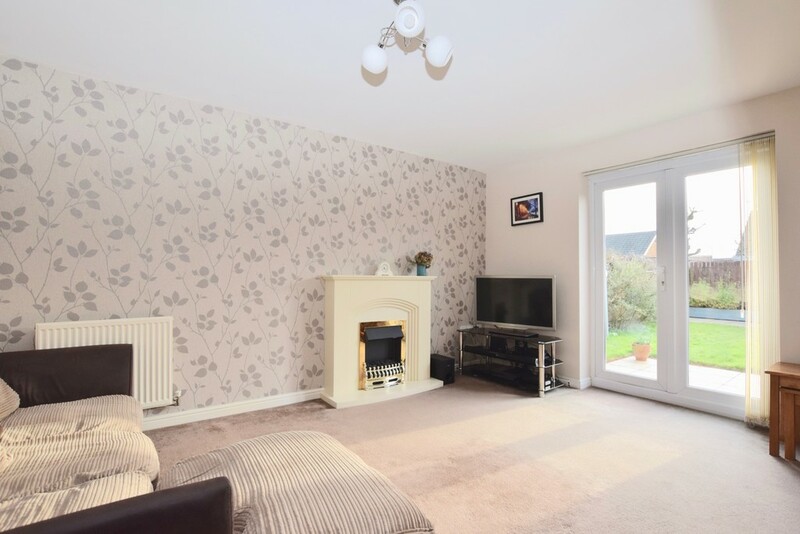 DESCRIPTION This property is a well presented semi detached home situated on the outskirts of the town. 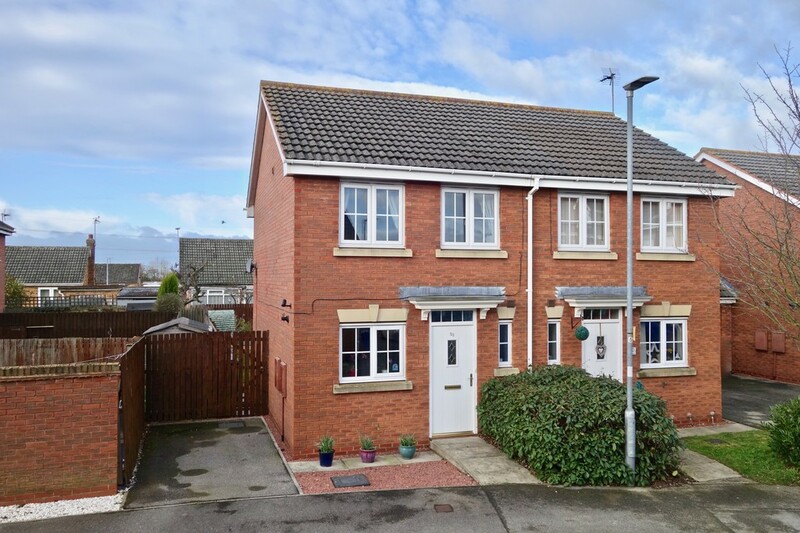 It offers two double bedrooms and a re-fitted bathroom and has the benefit of double glazed windows, gas radiator heating, driveway parking to the side and a westerly facing rear garden. An ideal first time or investment purchase. WC Front aspect window. White suite having a pedestal basin with tiled splash back and a push button WC. Radiator & ceiling extractor. KITCHEN 8' 2" x 6' 6" (2.49m x 1.98m) Front aspect window. 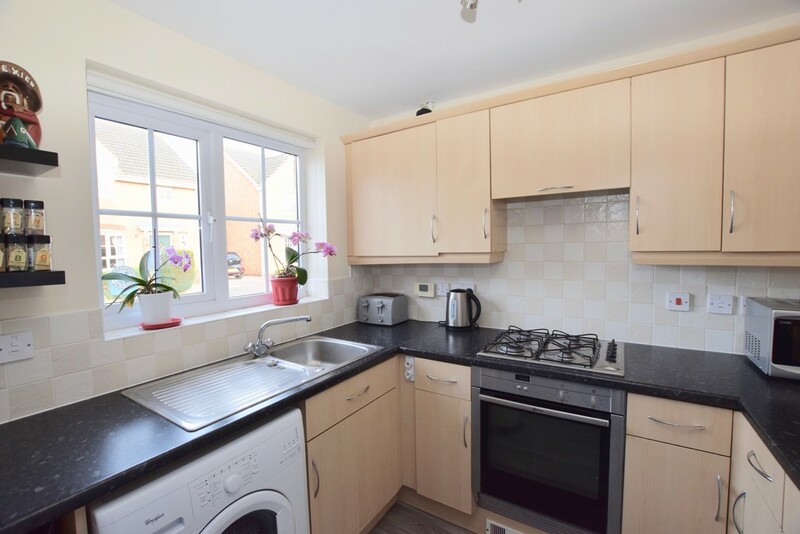 Fitted kitchen having a single drainer mixer tap sink unit with cupboards under. 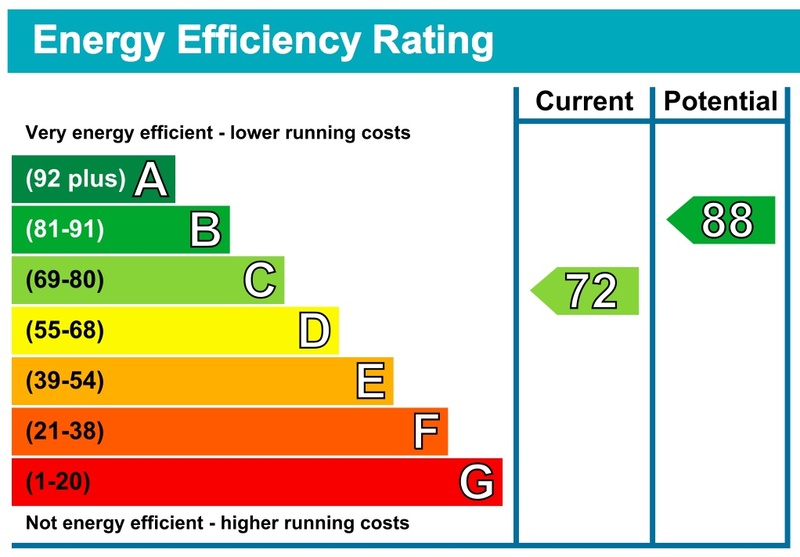 Range of matching units. Work surfaces with tiled splash backs. Fitted four ring gas hob with a retractable extractor hood over and a Neff 'Tilt & Slide' electric single oven beneath. Space for a tall standing fridge/ freezer, plumbing for washing machine, plinth heater and cupboard housing wall mounted gas fired boiler. LIVING/ DINING ROOM 14' 9" x 13' 0" (4.5m x 3.96m) French doors opening into the rear garden. Two radiators, stairs to first floor with open recess beneath. LANDING Access to partly boarded loft. BEDROOM ONE 12' 10" x 8' 1" (3.91m x 2.46m) Two front aspect windows. Radiator. 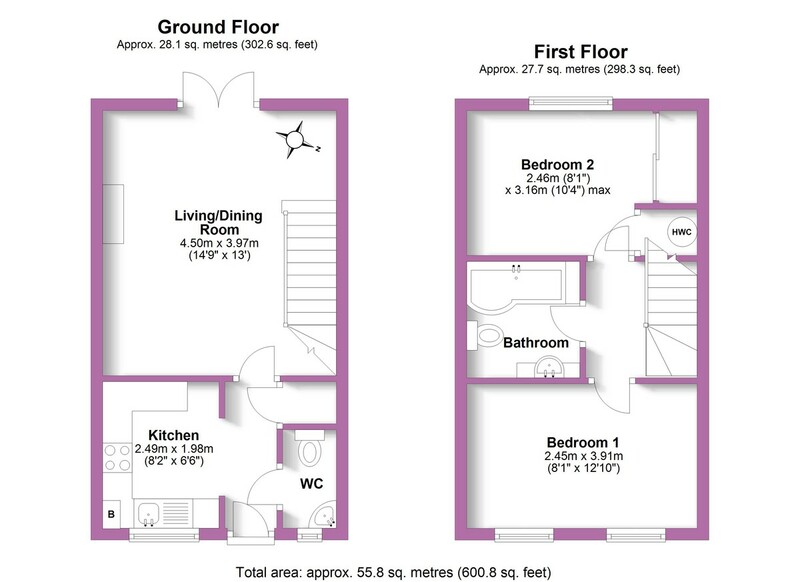 BEDROOM TWO 10' 4" x 8' 1" (3.15m x 2.46m) + wardrobes Rear aspect window. 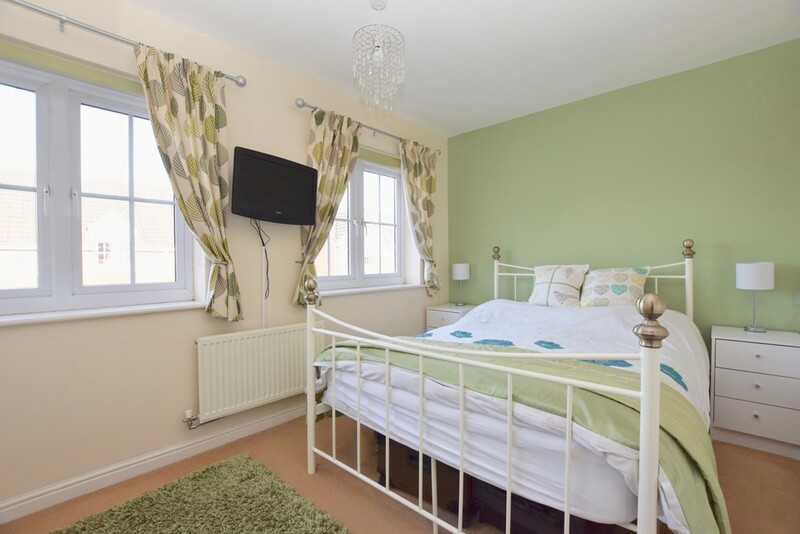 Radiator, range of floor to ceiling wardrobes with sliding mirrored doors, cupboard housing hot water cylinder. 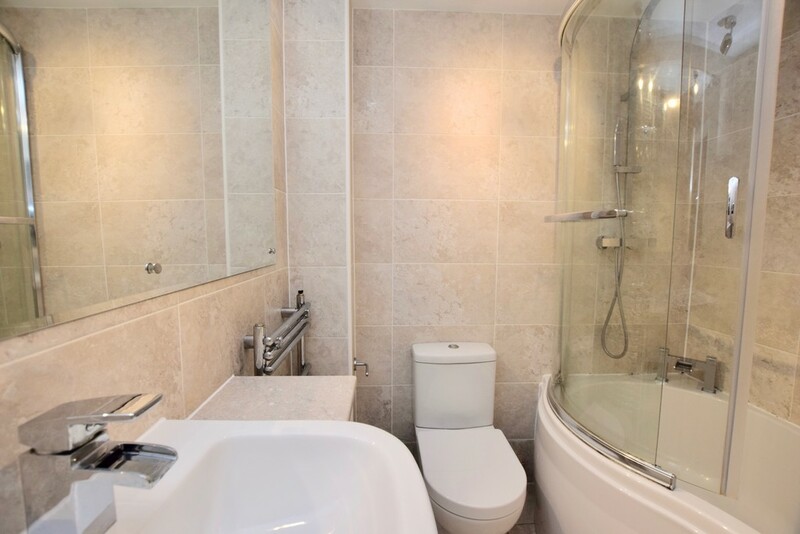 BATHROOM A fully tiled room with a refitted white suite having a vanity unit with waterfall mixer tap and cupboards beneath, P shaped bath with waterfall mixer tap and rainfall shower head over, push button WC. Heated towel rail and ceiling extractor. 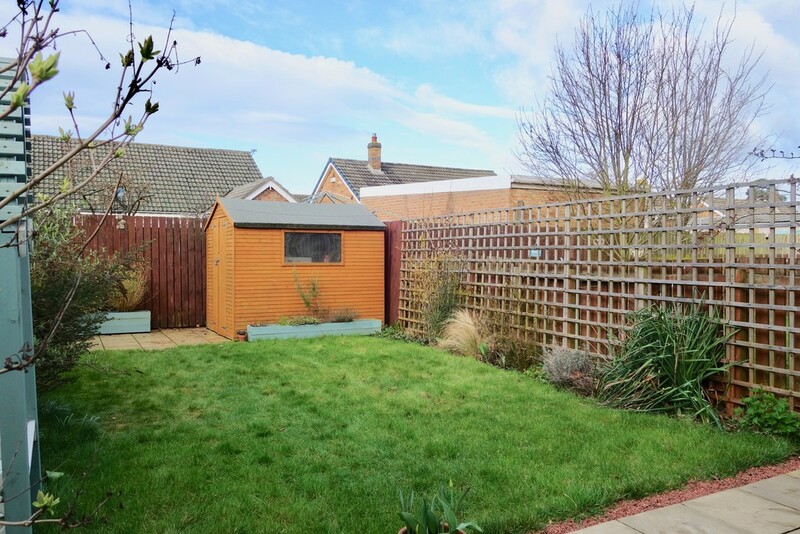 OUTSIDE To the front of the property is a small low maintenance garden & outside tap. There is a driveway to the side and pedestrian side access leading to the rear garden. The westerly facing rear garden is enclosed to all sides. 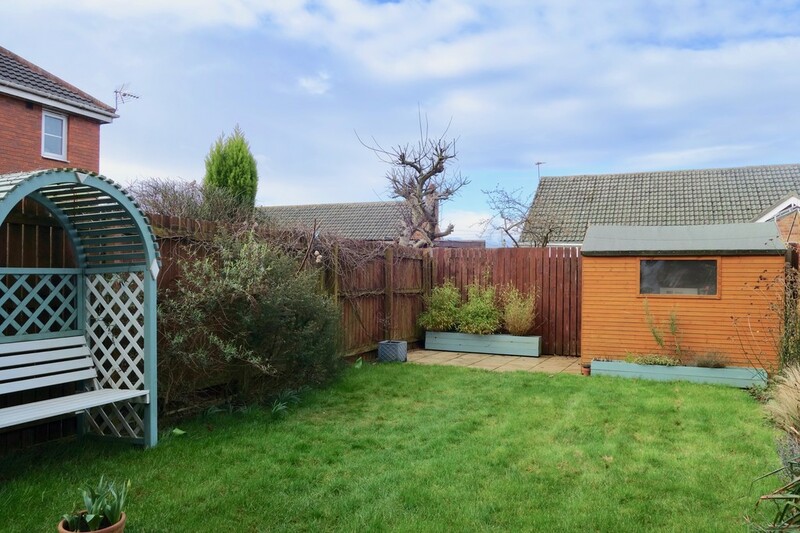 It is laid mainly to lawn and has a patio area, outside light and a timber garden shed.